This despite reports that the suspect, Sayfullo Saipov, left behind a note declaring that the attack was perpetuated in the name of the Islamic State. And witnesses heard Saipov shout “Allahu Akbar!,” Arabic for “Allah is great,” during the terrorist assault. McMaster has a history of minimizing the radical Islamic nature of such attacks. Only last month, he labeled the September 11, 2001, Islamic terrorist attacks “mass murder attacks,” instead of calling them acts of terrorism. 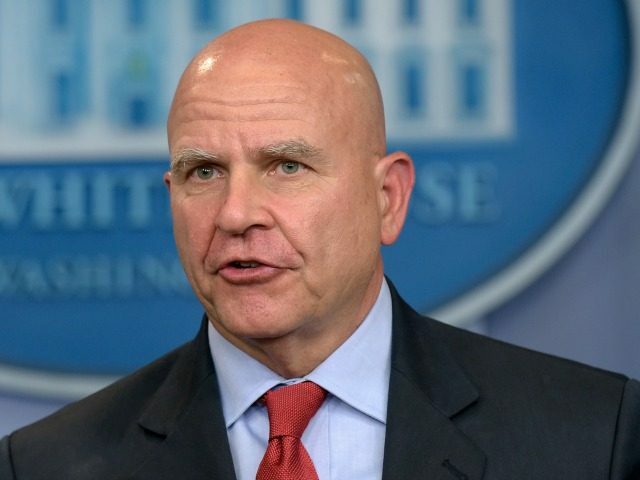 This reporter previously exposed numerous other instances of McMaster minimizing the Islamic motivations of radical Muslim terrorists. I know we’re focused on the Asia trip here, but I just wanted to talk for a second about the President weighing in on the man who’s been charged with mowing down pedestrians in New York City. He called for the death penalty. Have there been any conversations in the White House about how that could complicate prosecutors’ efforts, and even help the defense claim that this person can’t get a fair trial? What the President wants is to secure the American people from this threat and from mass murderers like this, murderers like this. And so what he’s asked us for are options to take a look to assess if our tremendous law enforcement teams and our judicial system has all the tools they need to be able to combat this threat to the American people. So what we owe him now is we owe him options — you know, options to take a look at to see if this is the time to reassess, change our capabilities in this area and the area of law enforcement in particular. On Thursday, the Islamic State formally claimed responsibility for Saipov’s terrorist attack in which eight people were murdered and a dozen more were wounded.